1. Open your file with Resource Tuner and expand the Menu folder, then select the menu item from the Resource Tree View. 2. 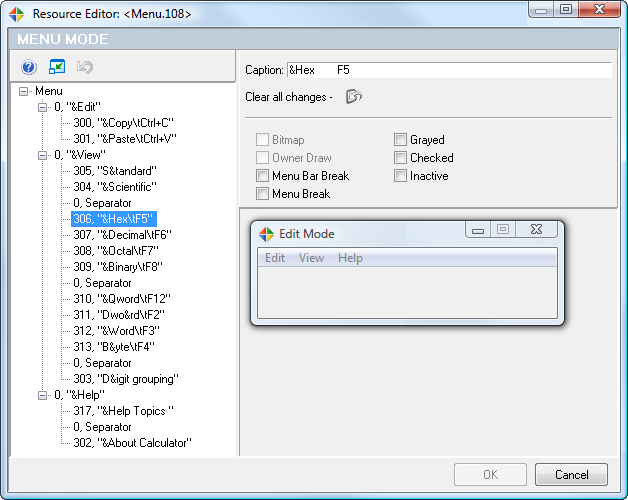 Press the Resource Editor button to edit this selected menu resource, or simply double-click the resource item directly. 4. Press OK to close the Resource Editor and select File > Save File As to save the changes you've just made to the target file. If warned that the image size has changed, click Yes to update the file size.